To Autoblog, or Not to Autoblog? That is the Question. Everyone knows that nothing worthwhile can be accomplished in a hurry. Yet when it comes to working the web, everybody is always looking for shortcuts. Case in point: Autoblogging. It takes time to create worthwhile blogs. A good blog post can easily take 4-hours or more to create. The time depends on variables including the length of the post and the research required. In today’s frenetic workplace, with information coming at people from every direction, time is a precious commodity which can be hard to find. Autoblogging purportedly can generate content for a blog automatically. Doesn’t that sound great? All you have to do is find a good program, set it up, and watch the prose spill forth like magic! Here’s a promo paragraph for Autoblog, a popular autoblogging plugin for WordPress. That was probably written by whoever produced the plugin. Although those are complete sentences in English, it’s not proper syntax. (Maybe it too was written by a bot.) There’s no reason to think that the content produced by the plugin would be any better than the promotional material written about it. In fact, material produced by the plugin is likely to be of a lower quality. If you think this type of writing will make your clients and potential clients happy and entice them to do business with you, then autoblogging might be the answer for you and your organization. However, you should be prepared to be disappointed. Autoblogging isn’t blogging. It’s plagiarism. Autoblogging software gathers material together from a variety of sources and regurgitates it as blog posts. So what’s the problem? Autoblogging doesn’t create original content. It takes existing content from RSS feeds, mixes it all up, and repackages it. This is what’s known as plagiarism. So what’s the big deal about plagiarism? For many people, it’s not a problem at all. If a little plagiarism can help a person to get the job done more efficiently, many regard it as a good thing… until they get caught. Getting caught changes things. If you’re a celebrity, politician, or if you work in a business where little things like ethics matter, your reputation can be tarnished forever. But let us suppose that ethics don’t matter. Another big drawback of autoblogging is that the content on your blog will be nothing but copies of previously published content that can be found elsewhere. If you have Autoblog software “write” articles for you, there’s a strong possibility that dozens, or hundreds, or thousands of other “writers” may be posting exactly the same articles or articles that are very similar. The search engine spiders know where that content originated. The search engines are continually adjusting their algorithms to weed out the junk and reward producers of the best content with high rankings. The blogs where content appears first are the ones that get the juice in the form of high rankings in search. If you’ve done the work to get to page one, the search engines may move you down or even eliminate you due to duplicate content that has been previously posted elsewhere. You could easily go from having a highly ranked website to having one that’s difficult to find. People say that content is king these days. The truth is that there’s a ton of bad content out there and it is definitely not king. Bad content will not help you build your audience or get new business. It doesn’t take long for most people to see whether content is good or bad. Taking bits and pieces from RSS feeds and whipping them together simply won’t produce good content. Bad content wastes people’s time. Nevertheless, autoblogging is producing prodigious amounts of bad content. On the other hand, good content is useful to readers and it is enjoyable to read. Good content is king and it can certainly set you apart from your competitors. To be good, content has to be original, well-written, and useful or entertaining to readers. For the best payoff over time, it’s a good idea to produce content that is “evergreen” meaning that it will stay relevant and useful. High quality, evergreen content can continue to pay off in traffic for six months, a year, two years, or more. So what can you do to maximize your skill so that you produce good content? My first recommendation is learning about writing. There are many blogging courses out on the web. E-zineArticles.com online offer one I like and Copy blogger blog offer lots of articles to learn about blogging as well. We developed a blogging course that we use to sell. Now we use that course to help our clients become better bloggers. We provide it free when a company signs up for our “Team Tech subscription”. Team Tech provides blogging and marketing coaching for business owners where we help them engage in effective content marketing. Team Tech also provides guaranteed blog growth and distribution using our proprietary distribution methodology. Another thing any business owner can do is create their own Blogger blog. Blogger is free and is owned by Google, so you automatically get more Google juice. It’s relatively easy to learn and there is a lot of free training available for learning how to use it. There is no substitute for creating a unique and original article with you as the author. Producing a high quality an authoritative blog post essentially proves you add value to the world! If you’re an expert in your industry, share your knowledge and gain real credibility. You say you don’t have strong writing and grammar skills? You don’t have to. It’s the 21st century! Programs like Microsoft Word 2016, Ginger software and Grammarly can eliminate most grammatical and spelling errors. They can also help you improve sentence structure and much more. Ginger software will even read your article back to you which I find a big help for improving readability. When you couple a good understanding of what makes a good article and add good spelling and grammar, your 90% there. The rest is just practice. Don’t have the time to do all of this learning, practicing, or acquiring software to help you write? Then get some help! Outsource this task to a professional. A good blogger is worth their weight in fine, recyclable, high-quality content. Many will ghostwrite in your name as well. When you calculate the cost in time and dollars, you may find that this is a very cost effective option. We actually do this for our clients and will even create and publish a book in their name once we reach the critical number of articles that becomes the foundation for their book. Many business people simply don’t have the time or the skill to produce good content. The solution for that is called outsourcing. As with autoblogging, you need to choose your ghostwriter with care. The last thing you want to do is hire a blogger for five or ten dollars per post who speaks English as a second language. As with so many other things, when it comes to quality content, you only get what you pay for. Working the Web to Win produces and distributes blogs for businesses. If you are looking for a shortcut that not only works, but is guaranteed to produce results and that will enhance your online reputation, contact us today. We can be reached, Monday through Friday from 9 AM to 5 PM at (904)-410-2091 or writing us at hectorc@workingthewebtowin.com. You can also stay in touch by filling out the form at the top of this blog to receive our weekly newsletter. In this article, I have provided current information on the usefulness or lack thereof for Autoblogging. This article provides the relevant information any business owner needs to make an informed decision on whether to blog or Autoblog. Along these lines, other practical information is provided to help anyone new to blogging follow a road map to success. 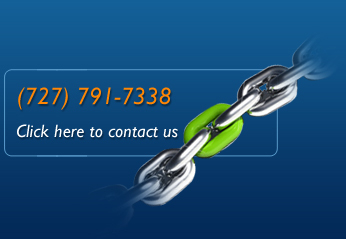 If you feel your business could use some help with its marketing, contact us at 904-410-2091. We will provide a free marketing analysis to help you get better results. If you found this article useful, please share it with friends, family, and co-workers. You can find other articles on our blog by typing in “blogging” or your desired search term in the search box at the top of this blog. I recommend reading Blogging Secrets of the Pros, Blogging as a Business, and Learning the Tricks of the Trade – Part 2 of Blogging 101 For starters. Also, don’t forget to plus us, on Google+. Fill out the form below for a free eBook. Danny Murphy is the Lead Blogger at Working the Web to Win, an award-winning Internet marketing company based in Jacksonville, Florida. He is also the author of Humor 101: How to Tell Jokes for Power, Prestige, Profit, and Personal Fulfilment which is available from Amazon on Kindle. In addition, he is the Executive Director of the Ementia Institute, which is doing groundbreaking research on mental illnesses due to overuse of electronic devices. Finally, he is running for Congress. His slogan is Make America Laugh Again.